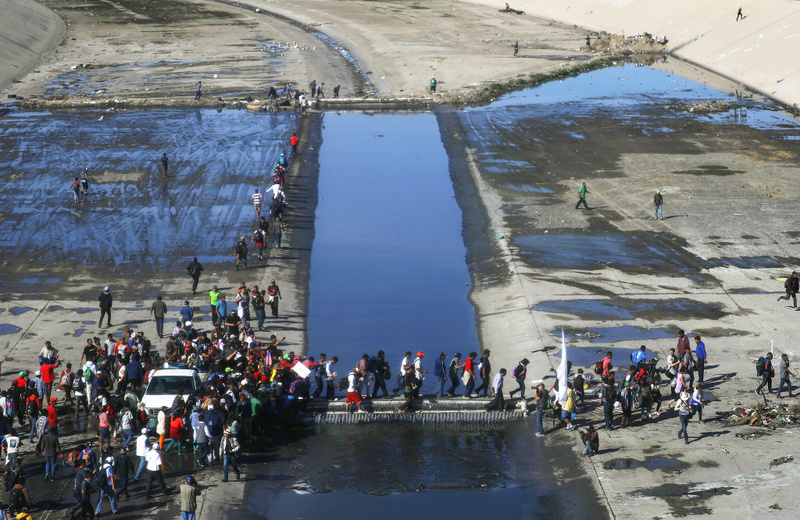 Migrants cross the nearly dry Tijuana River as they make their way around a police blockade toward the El Chaparral port of entry on November 25, 2018 in Tijuana, Mexico. U.S.
AirTalk checks in with reporters from Tijuana, Mexico City, and Washington DC for the latest. Migrant caravan aside, why is the Texas border seeing a dramatic surge of illegal crossings?